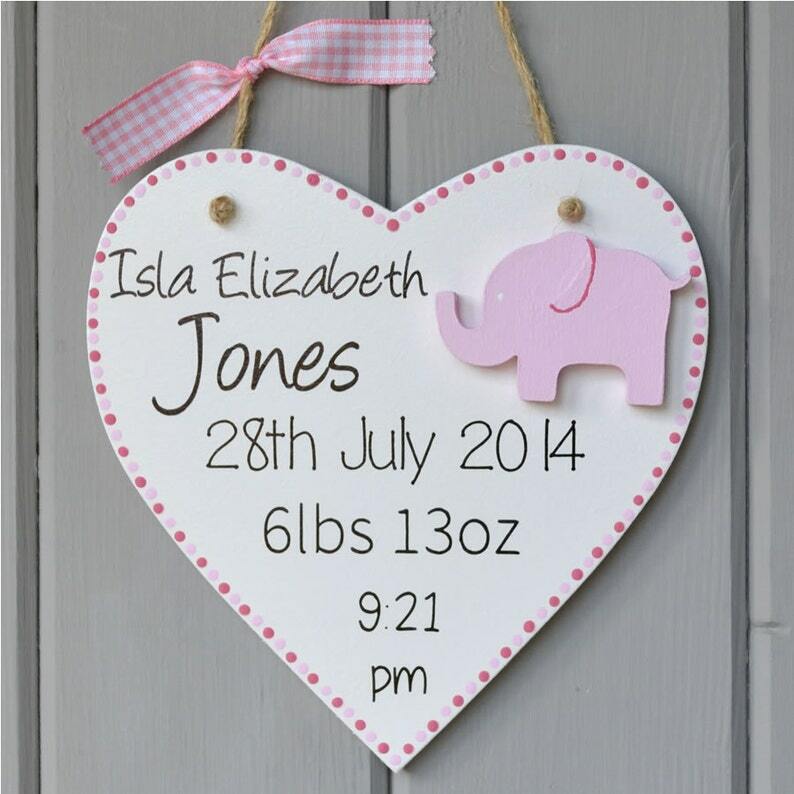 Personalised new baby plaque, hand painted in white and pink with decorative dotted detailing. Each plaque is personalised to create a unique gift for a new baby. Beautiful keepsake. Quick delivery to the point i am going to order another one. Personalised days until wedding chalkboard, engagement gift, bride to be countdown.